Join me today on Inspired by Pinterest as I talk about how Pinterest is a great resource for decorating and home resources. 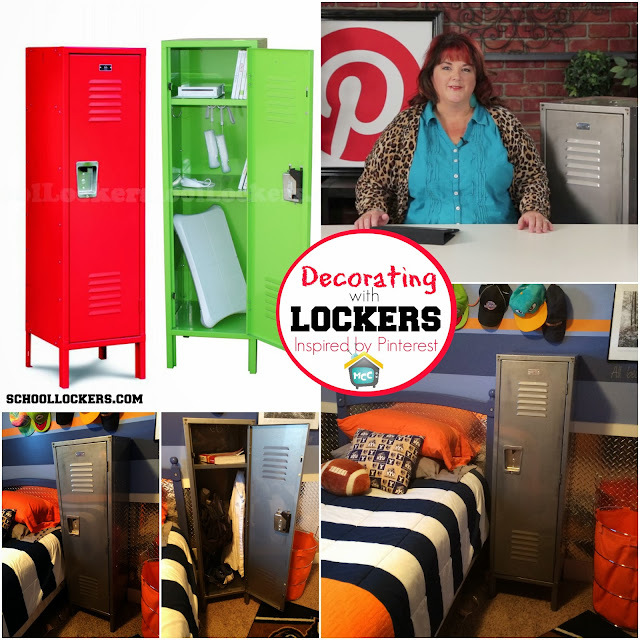 In today's episode on My Craft Channel I feature school lockers and how you can incorporate them into different parts of your home and for different uses. And to help promote looking at lockers in a different way, SchoolLockers.com is sponsoring a giveaway. Scroll to the end of this post to ENTER TO WIN a lock like the one featured today!! 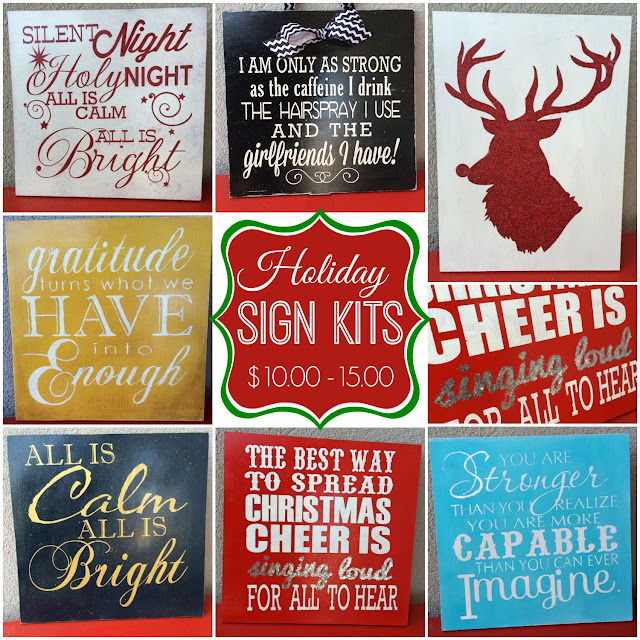 Holiday Sign Kits include the 13x13" unfinished wood piece and vinyl with transfer tape. You simply need to provide two colors of acrylic craft paint to create a finished sign in the color combo you desire (instructions below). gift to your friends and family! This time of year we are always looking for ideas that are cost affordable and easy to make. I believe what I save in money is made up in the fact I create handmade gifts from my heart for my friends and family. 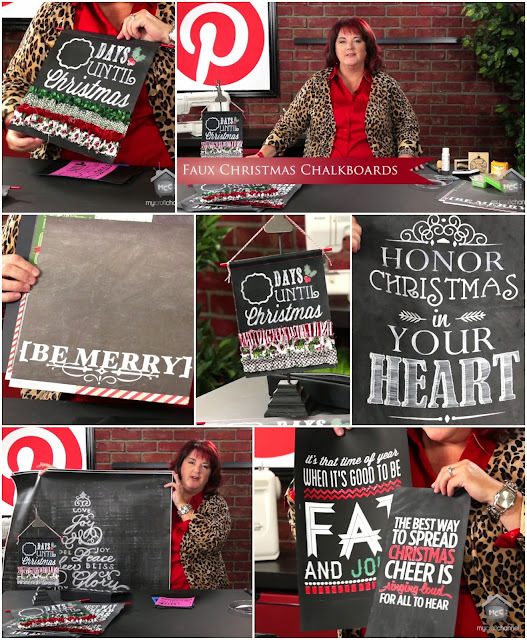 Join me as I share ideas on creating Faux Christmas Chalkboards for the Holidays on today's Inspired by Pinterest over at My Craft Channel. I will share some simple ways to achieve the trendy look of a chalkboard on wood, blackboard fabric and more that will last a lot longer then chalk. Tausha Hoyt joins me for another inspiring episode of Inspired by Pinterest today on My Craft Channel. 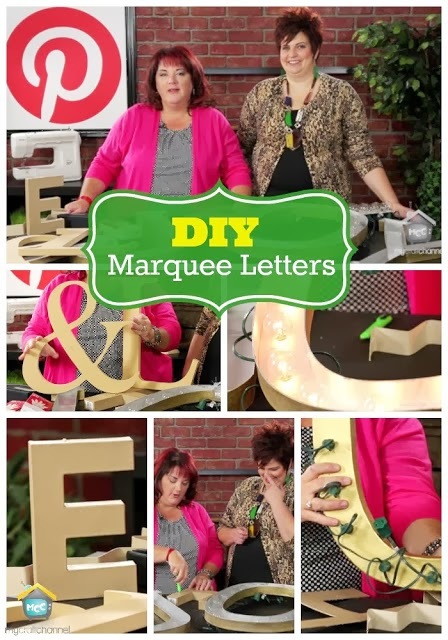 Today I share how simple it can be to create your own lighted movie style marquee letters. I shares pins of all types and then demonstrate how simply it can be to pull off this look using paper mache letters.